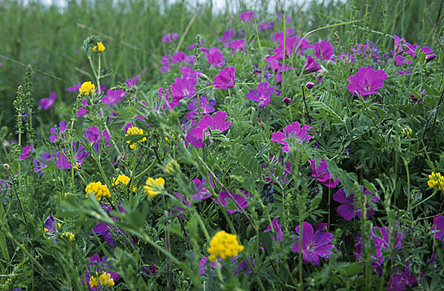 It prefers habitats with calcareous and dryish soils, as in Läänemaa, on the islands and in North Estonia. It likes light, and grows in clumps that can reach over half a metre in height. The modest but beautiful flowers are set singly on the stem, diameter up to four centimetres. Does it have its name from the fruits, shaped like a stork’s beak, or because the leaves turn red in autumn?